Overnight-scanning.eu is a microfilm scanning service that works with clients all over Europe and the UK. As an experienced microfilm scanning provider, we can extract millions of digital of pages from microform media. 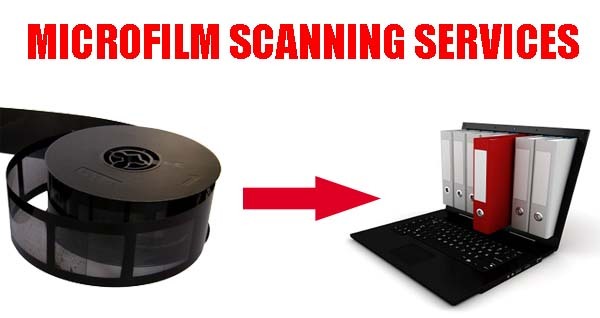 Get in touch with us NOW, to get a FREE microfilm scanning project evaluation. Inspect the microform media and determine which type it is. It can be 16mm microfilm, 35mm microfilm rolls or microfiche media. Insert the microfilm into the scanner and carefully capture each of the frames on the film. Visually inspect the frames during scanning. The scanning equipment has a lot of features to help you maintain productivity and check for quality issues. After the scanning is over, take each image and carefully inspect them. Using an image processing software, correct every converted image that requires your attention. When image processing is done, convert the digital images to the file formats your customers require. Optionally you can OCR the documents to make them text searchable. Congratulations, you have successfully scanned microfilm using our solution. There are a number of reasons why customers prefer scanning microfilm. We will try and go through the most important. Just like any physical object or for document storage, a microfilm roll can be misplaced or even totally damaged. Not to mention that improper storage and protection from environmental factors can lead to further damage. You can create an accurate digital back-up from your microform, and be less dependant on the physical archive. Therefore, even in a busy office environment, you will reduce the risk of data loss, by using digital images of your records. Retrieving documents from a physical archive storage is difficult enough. To access documents on a microfilm roll, you need a good reader or another microfilm reader system. We would also recommend having a bit of knowledge with microfilm in general, as this would speed up this process. It’s much easier to access and duplicate digital records, then to copy the information on microfilm. The same can be said when you want to print microfilm images. Digital images are much easier to handle then microfilm frames. Another major advantage when you scan microfilm is that digital files can be protected from reading, writing and even copying. Documents on microfilm can be viewed with a reader by anyone who knows how to work with one. On the other hand, integrating your documents in a powerful document management tool will give you total control over them. Data protection is very big nowadays, so you will definitely improve access security to your records, if you transfer them to digital media. Information security is critical so please evaluate with our team how to get the most out of your scanned archive. Digitized microfilm can be easily secured. While microfilm requires fewer storage facilities than physical document storage, it still takes up space. Some businesses decided to save space by eliminating their old microfilm. They scanned all their microfilm rolls and could recycle the old microfilm, for secure document disposal. Other organizations prefer scanning microfilm and microfiche, then sending backup copies to a storage provider. He, in turn, does not charge a significant amount, and our client achieves important space savings while maintaining the access to his documents. Document scanning and imaging are not enough sometimes. There are companies that still have big proportion of their archives on microfilm. In those cases, it is required to scan the microfilm and microfiche data to retrieve the documents stored on them. This will make document management much easier afterwards. Also, moving microfilm and microfiche is much easier than moving paper. Onsite scanning is not needed, as the small form factor of microform media allows it to be easily shipped to scanning suppliers. For more information on this topic, please head to our article on the advantages and disadvantages of microfilm. Personal and corporate documents ( financial statements, bank documents, land registries, Human resource files etc). Just about any document that needs to be preserved as microfilm has huge longevity. Remember, replace physical document storage with microfilm or digital files. Microfilmed Newspapers, books and manuals – Especially in universities and libraries microfilm was the ideal archival method. Before book scanning equipment was available, books were microfilmed. Today, libraries choose to scan microfilm, instead of using book scanning for converting that book to digital formats. Archival documents – In private or government archives, microfilm is still used today to archive files and documents that need to be preserved for longer periods of time. Medical records scanning from microfiche is very popular. Microfiche is a great storage solution for medical records of patience, and we get health institutions asking us to scan microfiche very often. Architectural and engineering documents – Microfilm rolls and microfiche can store documents up to A0 or even higher in size. Depending on the size you can use different reduction levels. Different county administrations will hold such documents on 35mm microfilm for archival preservation over longer periods of time. 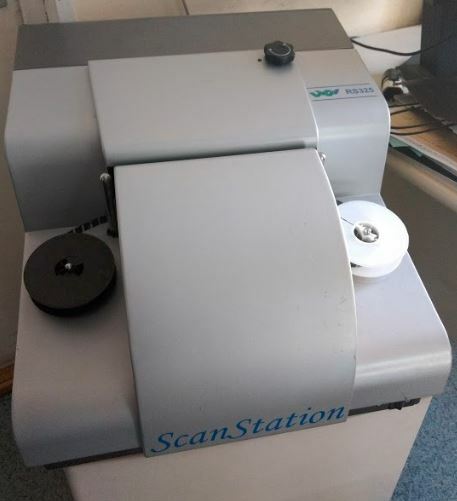 Microfilm Rolls – We will scan Silver Halide, Diazo or Vesicular microfilm. This includes 16mm microfilm rolls and 35mm microfilm rolls. Microfiche Scanning – We can also scan flat film, 105×148 or ISO A6 in size. Especially for 10x14mm, the scanning works very quickly. 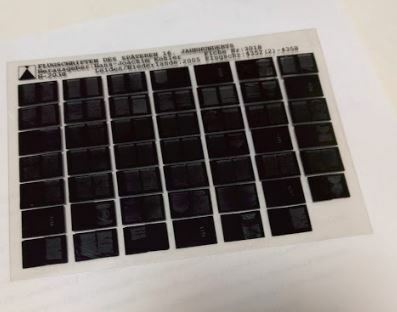 Aperture Cards – Our aperture card scanning service will process microfilm cards with 35mm slide. Ultrafiche, Jackets and other cartridges or microfilm supplies such as ribbons. Aperture card scanning is not as popular as it used to be, but there is still a lot of information stored on them. Learn more about this on our article on types of microfilm. The scanning process depends on what microform media we are working on. Scanning 16mm rolls is quite different than scanning Microfiche. Our project manager will determine the proper solution for your scanning project. He will evaluate aspects such as the actual slide scanning and the post processing methods to be used after scanning. We usually post process documents to achieve archival scanning standards . Therefore, whether it’s bad exposures, fading film or just badly processed microfilm, we try and retrieve information from the media. For 16mm or 35mm media, we use a microfilm scanner with CCD capturing sensors. We will describe now how the microfilm scanning equipment works. As the rollfilm passes under the sensor, the microfilm equipment transfers each captured line to the software. The software then uses each line to compose the initial image. Once the image is composed, it converts the RAW data into an image file type, such as Jpeg or TIFF with different compressions. The conversion software then takes this data and gives us the file in the file format we want, whether it’s PDF, TIFF, Jpeg, BMP or ca even OCR the document. We have a great article on how a microfilm to digital conversion equipment works. For 16mm digital conversion projects, we can provide conversion for most type of rolls. Standard rolls of 30.5m in length and normal thickness can be processed quite quickly. There is, of course, a difference in time depending on the number of images on the roll. Such a roll can have around 2500 documents. At the same time digitize 66m rolls with a thinner film. Usually, longer rolls use a film that is thinner than standard film. But at the same time, it can hold a larger number of documents. We estimate that these rolls can reach a number of 5000 frame exposures on them when writing at 24x reduction. Most of the 16mm microfilms will have A3 and A4 documents on them. It’s not very often you will find larger ones. This kind of film is sometimes easier to convert. We process films with thin and standard film thickness. This kind of reel will hold 700 images on it, considering a standard reduction of 24x. Of course, the number can be bigger or smaller, depending on document size and image reduction. We can offer microfilm conversion solutions to PDF or TIFF for 35mm duplex mode rolls. Generally, they contain around 700 frame exposures, but this value might be different from one roll to another. While 16mm microfilms usually host A3 and A4 documents, 35mm microfilm reels will often feature bigger documents, such as A2, A1 or even A0. The 35mm microfilm is the best choice to microfilm newspapers, large format drawings, and architectural plans. It does not matter what reduction value you have used for your frames, generally, it is possible to deliver good quality output. The 35mm microfilm scanners work just as well for 16mm microfilm conversion. Fiche scanning is a bit different than film scanning and we use different equipment. Once the microfiche sheet has been positioned under the sensor, the scanner will automatically move the fiche to capture each image separately. Microfiche scanning is possible for 105mm x 148mm, flat fiche or COM fiche. For each image, the software then creates a digital format file in Tiff, Jpeg or PDF that is ready to use by the client. To find more information on this topic go to our article on microfiche scanning service. Microfilm scanning resolution – We process microfilms at 400dpi optical. The image resolution is enough to capture all of the details from every frame. Microfilm reduction – Most of our customers send microform media that is 24x. There is no problem in sending us microfilm made at 32x or 48x or even between these values. We will also process microfilm media that is written at lower reductions or higher. Microfilm polarity – We usually process both positive exposed film and also negative exposed microfilm. Microfilm conversion is more or less the same for both. Color tones – Most documents on microfilm are text documents. As we see it, they are produced in black and white. We have designed our service to also capture images with pictures. So grayscale microfilm scanning is also possible and we recommend it when you need a superior image quality. Digital file formats – We can create standard image files, such as TIFF, JPEG or PDF. On request, we will provide you with PDF OCR, BMP or even Word Documents. We can also index your information, and upload it to document management platforms. File Compression – Our scanner will capture files in RAW format, but we can convert them to different compressions, such as JPEG, LZW or ZIP compression. We will deliver the scanned images on USB stick, CD, on Hard Drives or upload them directly to your storage server. Send us an email and describe your request. Please specify if you have microfilm rolls, or microfiche, the approximate number of frames on the rolls and number of rolls. We will provide customers with the approximate cost. If there are any special requirements from our clients, we will try to evaluate if we can provide those services. We supply you with the logistical costs and instructions on getting the microfilm to our scanning facility. After we receive the microfilm from you we start scanning and send you back the digital files in a couple of days. We can do the scan on demand if you need or we can do microfilm conversion services for very large projects. This depends on how big your project is and the available budget. If you want more information about this, we have an article about scanning prices and how much our services cost. For example, we have recently done microfilm scanning services for customers in Leeds and Yorkshire. They were really satisfied with the work, and they are returning customers. If you need, we can supply case studies of work we did for our customers. Here are a couple of questions we get from our customers. If you have another one, feel free to ask us. Is microform media safe to ship? Yes. There are numerous shipping solutions to choose from. They provide different extra services that customers can choose, which help with the shipping process. I have a larger quantity of microfilm. Can you help me with the shipping? Yes, we will assist you entirely with this process. Our team will give you all the details on how to pack microfilm securely and prepare the package. Once it is prepared, our shipping company can pick up the microfilm from your premises and deliver it to us. No. We will try and offer you the lowest cost for shipping microfilm. Just inquire and we will be happy to help you with everything. What type of customers do you work for? We scan microfilm for just about any type of customers. We have private clients with 2-3 rolls, government and business customers with medium to large scanning projects. While most microfilm conversion projects we do are for larger institutions, please feel free and inquire about smaller projects. Experience – We have been doing microfilm scanning services for over 10 years now. Worldwide distribution – If you are in Europe or the UK, we can provide an effective solution for you. We have worked with customers from the UK for many years now, with a lot of positive feedback. Low microfilm scanning cost – Our prices are very low compared to other service providers. For example, we can scan microfilm at 0.01£ per image frame. Especially for larger projects. Optional services – We are pretty much a one-stop shop. Besides scanning microfilm, we can post-process the images for improved quality and even indexing the content in the microfilms. We will guarantee superior image quality compared to other providers. Our team can provide most imaging services currently available on the market. Because of this, we think you should try our microfilm scanning service for your next project. What is microfilm – Some facts will surprise you! I am extremely pleased with the results of the book scanning that I sent in. The intention was to obtain a searchable document because the book was not available in digital format. Even though the book was not in a major language (Malay), amazingly the software produced an extremely reliable output. This was first time I needed book scanning. The price was less than I had feared. It was good to see the technical process on video, it seemed reliable.I am fully satisfied with the result and can recommend your company to my friends, if they need that kind of service.